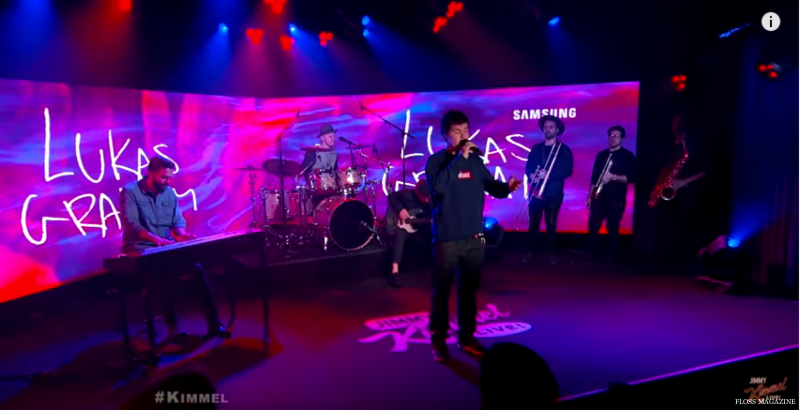 Lukas Graham just performed global breakout hit 7 Years on Jimmy Kimmel Live! last night. The lead single from the self-titled debut album – out this Friday, April 1 via Warner Bros. Records – 7 Years is now #2 on the Billboard Hot 100, charting at 6 radio formats (including Top 5 at Hot AC and approaching the Top 10 at Top 40), and remains a dominant #1 on the U.S. iTunes Chart with over 250M streams on Spotify. Watch the incredible live performance on Jimmy Kimmel Live! below. Lukas Graham kicked off their sold out U.S. headline tour last night at The Troubadour in Los Angeles, following a packed week at SXSW that had People naming them an Artist You Should Know, and Esquire declaring they are perhaps already a Best New Artist Grammy frontrunner. Further early praise comes from the New York Times, who lauds Lukas Graham’s neatly turned songs that merge the lilt of pop-soul with the quick cadences of hip-hop, while USA Today says Laid-back and soulful, songs effortlessly blend elements of hip hop and folk while relaying oftentimes relatable experiences.